Conservation, wildlife and habitat stories about Northwest Trek. As stewards of a forested park full of native Northwest animals, we look constantly for ways to protect wildlife and wilderness. From raising orphaned animals to financial support, we conserve. Read our stories to find out how – and join us. 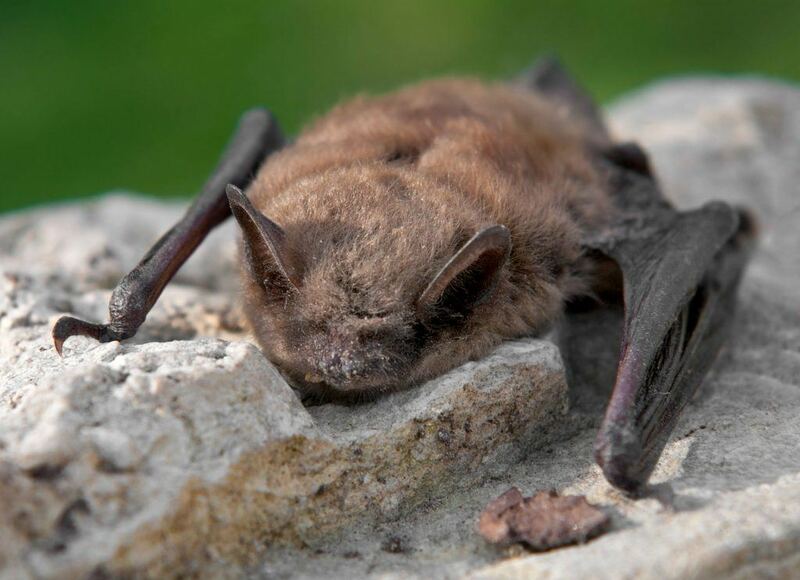 White-nosed syndrome is a deadly fungal disease that has killed millions of hibernating bats in eastern North America – and now it’s here too, first found in 2016 in King County. Named for the white fungus that grows on the muzzle of infected bats, the disease sickens, weakens and eventually kills hibernating bats. Northwest Trek is working with the Washington Department of Fish and Wildlife to collect data on bat colonies, so we can better understand and protect bats. 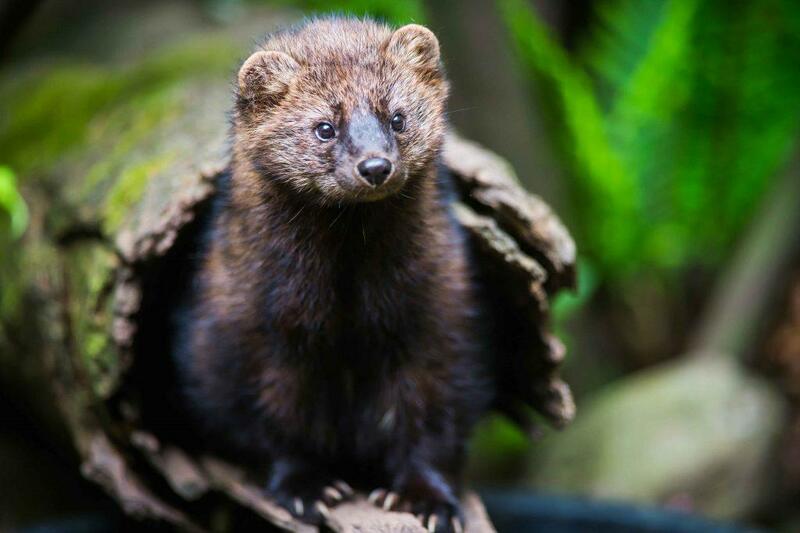 Fishers are a native carnivore in the weasel family. They climb trees but prefer to hunt on the forest floor. They eat small rodents but also fruit and mushrooms (though ironically, not much fish). But fishers also have incredibly soft, silky fur – and that’s been their greatest threat. Get the latest in our fisher conservation story. Imagine – you’re hiking in deep, silent Northwest forest. 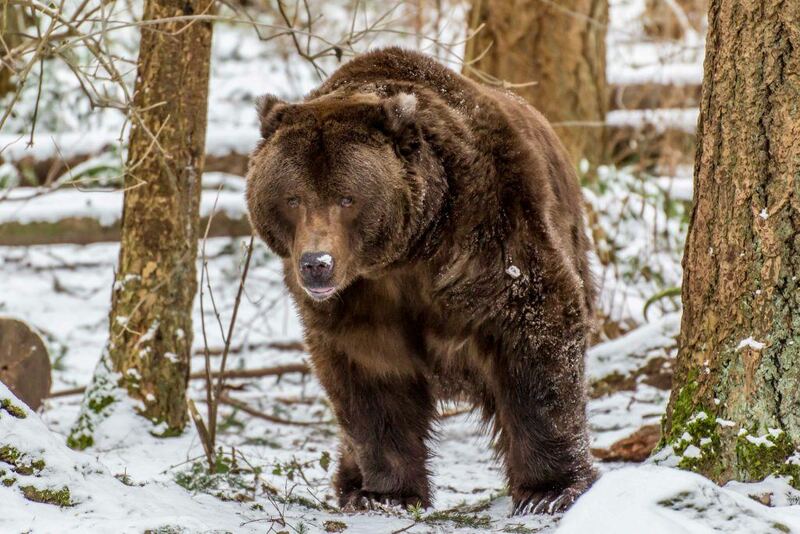 Suddenly you round a corner and freeze – a grizzly bear is standing on the path. Actually, chances are that won’t happen. Biologists estimate there are fewer than 10 grizzlies in the North Cascades. – an area of nearly 10,000 square miles. And if we take no action, there will soon be none. We have to protect this American icon. 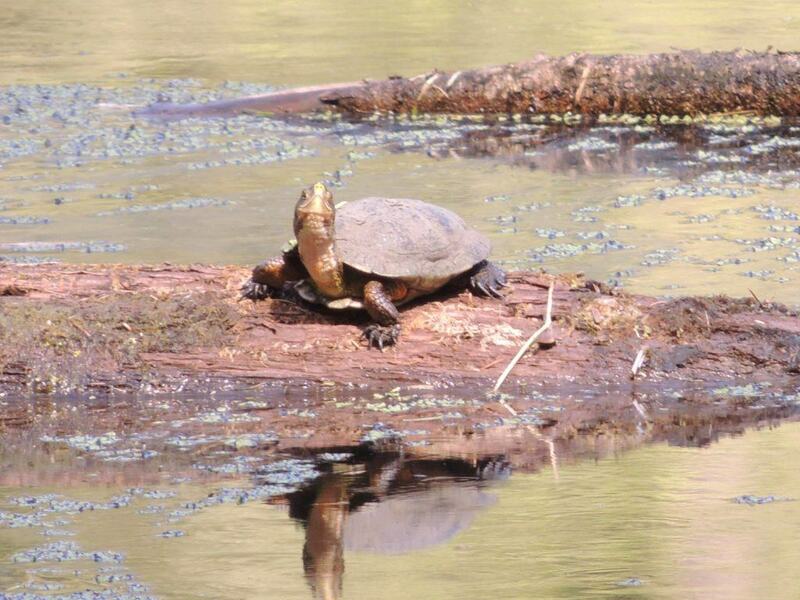 It’s one of the delights of summer hiking in the Northwest – to come across a lake and spot a demure Western pond turtle sunning itself on a log. But those native turtles are in rapid decline, due to non-native predators, loss of habitat and shell disease. Northwest Trek is working with the Association of Zoos & Aquariums (AZA) to show folks how to conserve this endangered reptile, led by education curator Jessica Moore. 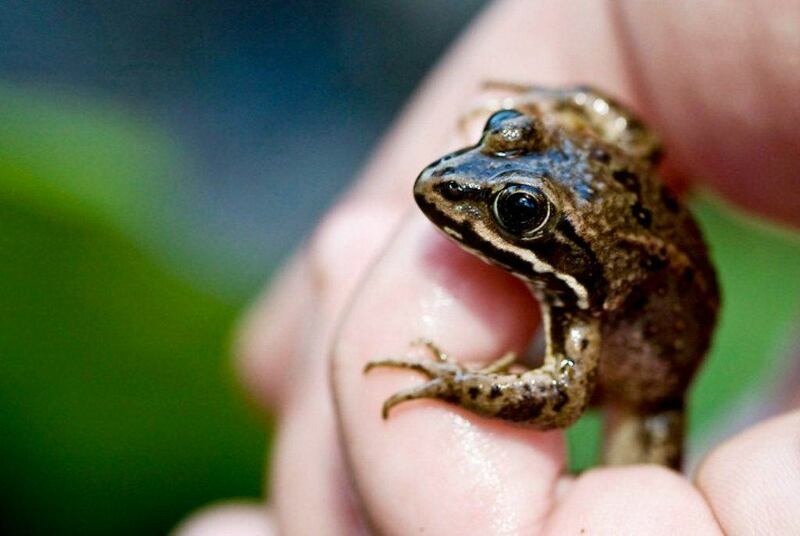 These amphibians once inhabited large areas of Puget Sound lowlands, but now the species is endangered in Washington. Only a handful exist. A program was started in 2008 to reestablish the local population of these frogs. 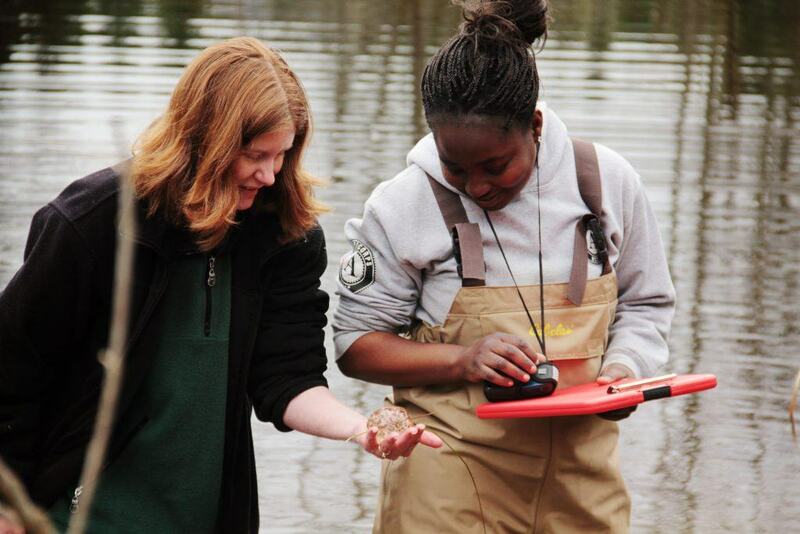 Northwest Trek – in partnership with Washington Department of Fish and Wildlife, Point Defiance Zoo & Aquarium, and other zoos – raised thousands of frogs from fertilized eggs and released them in Pierce County wetlands to breed. 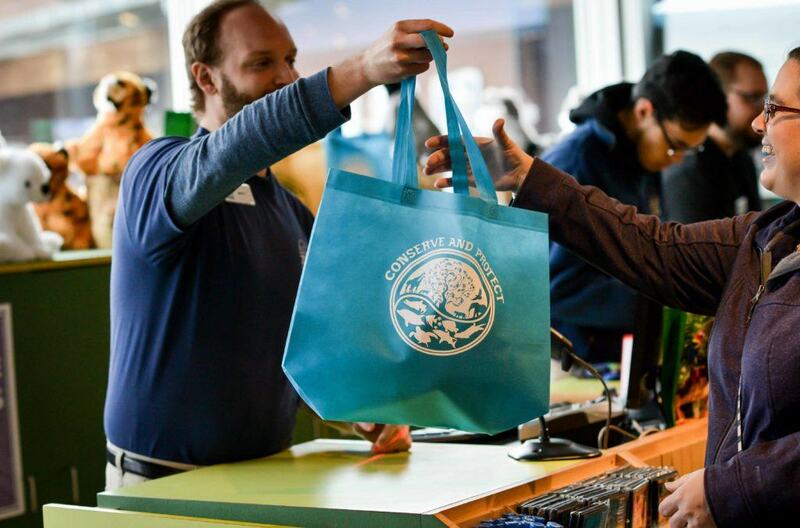 Northwest Trek Wildlife Park, Point Defiance Zoo & Aquarium, Lancer Hospitality, and Wildlife Trading Company have joined forces to reduce single-use plastics. We don’t provide plastic bottles, plastic lids, or straws in our cafes. We installed water bottle filling stations to make it easy for guests to have fresh water. And we don’t use plastic bags in our gift shop. Please bring your own reusable bottles and straws, and help us help the environment! This species disappeared from the Midwest thanks to hunting and loss of habitat in the 1800s. 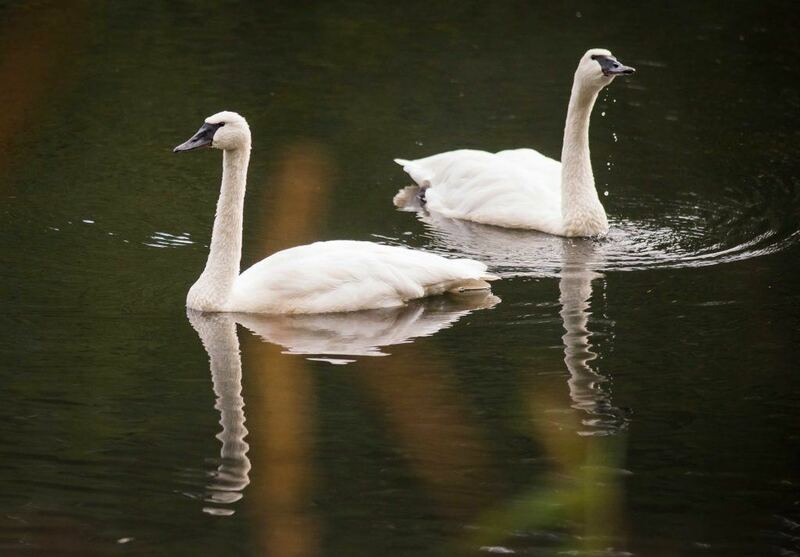 Now these beautiful swans are making a recovery – and Northwest Trek has played a key role. We’ve sent 31 swan cygnets, or babies, hatched here to the Iowa-based Trumpeter Swan Society, which works to repopulate swans in the middle of the country. In 2011, six Northwest Trek-born cygnets were released at Lake Terrell near Bellingham, Washington. Healthy habitat makes for healthy wildlife, and that’s why it’s our goal at Northwest Trek to improve and maintain habitat, both inside the park and in the broader community. From rooting out invasive plants and planting natives to monitoring species and supporting regional organizations, here’s what we’re doing right now – and how you can help.